KIEV, Ukraine -- A former public school boy who was once jailed for plotting to assassinate Vladimir Putin is in a serious condition after being gunned down in an apparent attempted contract killing. Adam Osmayev, a former pupil of Wycliffe College who commanded a pro-Kiev battalion in the war in eastern Ukraine, was rushed to hospital after being shot twice by a hit man in Kiev on Thursday night. Kiev police said in a statement that Mr Osmayev survived after his wife opened fire on the attacker, shooting him four times in the chest, hip and back. Amina Okueva, who was uninjured in the attack, said in a statement on Facebook on Friday that her husband was in a "serious but stable" condition and that she had been informed the attacker had a bullet stuck in his spine. "He has the murders of many Chechens on what is left of his conscience, including in Europe. I am glad he got what he deserved from my hand," she wrote. Although Ms Okueva did not elaborate, she appeared to be referring to the murders of a number of critics of Ramzan Kadyrov, the president of Chechnya, over the past decade. Kiev police said the attack happened when the couple agreed to meet a man posing as a journalist from the French newspaper Le Monde. The attacker was carrying a Ukrainian passport in the name of Oleksandr Dakar, but police said they had not yet established whether the document was genuine. Mr Osmayev, 36, is a native of Chechnya, the north Caucasian republic of Russia that saw two brutal wars in the 1990s and 2000s. He was educated at Wycliffe College and the University of Buckingham in the 1990s and early 2000s, when his father Aslanbek was a high ranking official in charge of the republic’s oil reserves. The family fled Chechnya after falling out with Mr Kadyrov, who came to power after the death of his father in 2004, over lucrative oil contracts. Mr Osmayev moved to Ukraine, where in February 2012 he was arrested and charged in connection with a foiled plot to assassinate Vladimir Putin with an attack on his motorcade. Although his extradition to Russia was halted by the European Court of Human Rights, he spent nearly three years behind bars in Odessa for illegal possession of explosives and forgery. After his release in 2014 he joined a battalion of Chechen volunteers fighting against Russian-backed separatists in the war in eastern Ukraine. The battalion, founded by a prominent Chechen field commander called Isa Munayev, included several dozen Chechens who had fought against Russian troops in the wars of the 1990s and 2000s. They saw service in several major battles in 2014 and 2015. 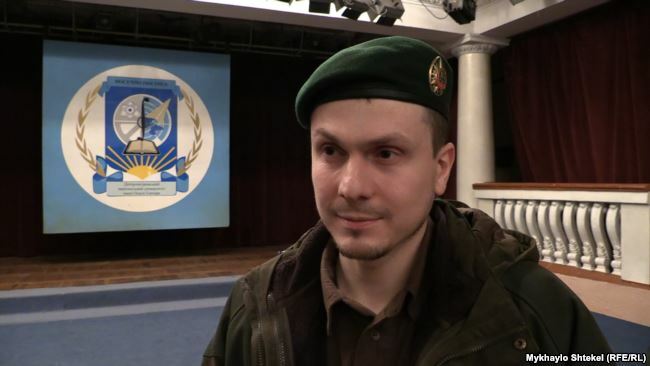 When Munayev was killed in February 2015, Mr Osmayev succeeded as commander of the battalion. Chechens have fought on both sides of the war in east Ukraine, with troops loyal to Mr Kadyrov showing up on the pro-Russian side.